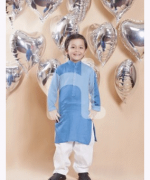 Naqsh by Nishat Linen Eid collection 2015 for kids has been all launched so all the kids, if you have been waiting for this Nishat Linen Eid collection then you can grab it right now. In this collection, all the kids will be having these traditional kinds of dresses. Girls will be long shirts and churidaar pajamas and tights. Boys will be having kurta shalwar. 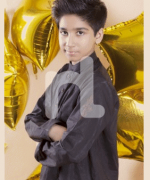 We can say that it is the best Eid collection 2015 for all the kids. Such bright colors and shades have been used hat kids will love all the outfits. You might never know that they might make this demand that they want to have this whole of the Nishat Linen Eid collection, then what you will be doing? Just kidding! If we move on with the color scheme, then it is seen that in this Eid collection, you will be having these kids dresses in the shades of red, aqua, white, yellow, grey, white and black. 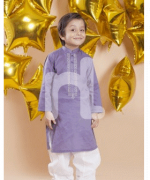 Now, you can check out all the pictures of this Naqsh by Nishat Linen Eid collection 2015 for kids. 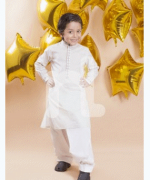 It is time to gift some of the best Eid dresses to your kids and you can do this if you will also look into this Eid collection 2015 by Naqsh. You can also join its face book fan page and get all the updates from there that when this hub will also be launching next of its Kids Eid collection 2015. Now, all the kids out there, they will be having this fabulous kind of Eid because they will be wearing these beautiful dresses by this hub. Nishat hub has too Eid collection 2015 for men and women, stay tuned with us and we will be posting the details about them too.